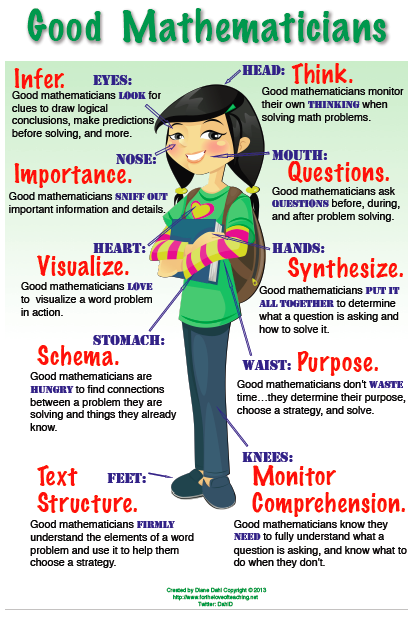 This is my second post about the online components of Everyday Math. 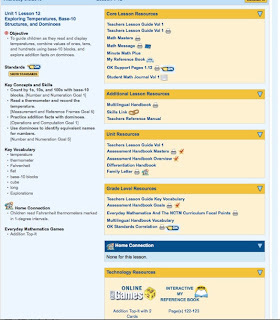 The first reviewed how to sign in and set up classes. 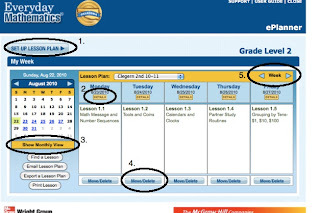 This post will detail how to set up your online lesson plan. 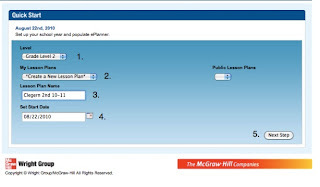 One of my favorite components of EM online is the ePlanner. 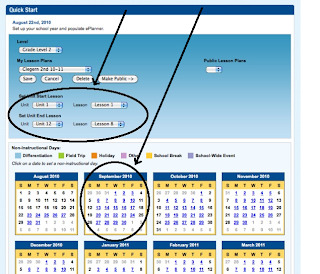 Just input the date range and lessons you want to cover and your lesson plan will be generated. 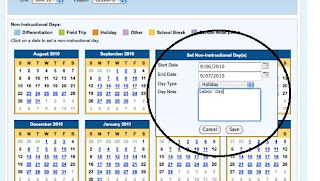 The option to exclude holidays or flex days is built in. 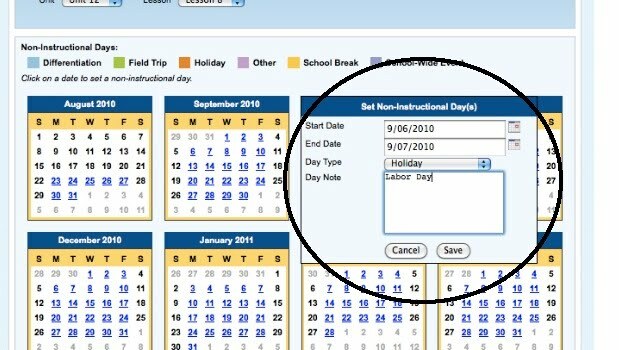 Another fantastic benefit is the ability to access individual lesson components straight from your calendar (including online games that go with each lesson). Let’s get started! 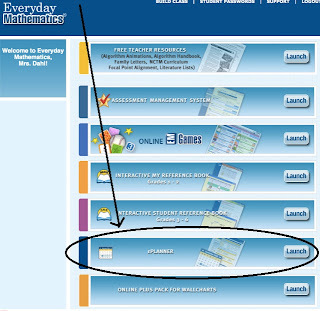 Access your Everyday Math account and select the ePlanner ‘Launch’ button. 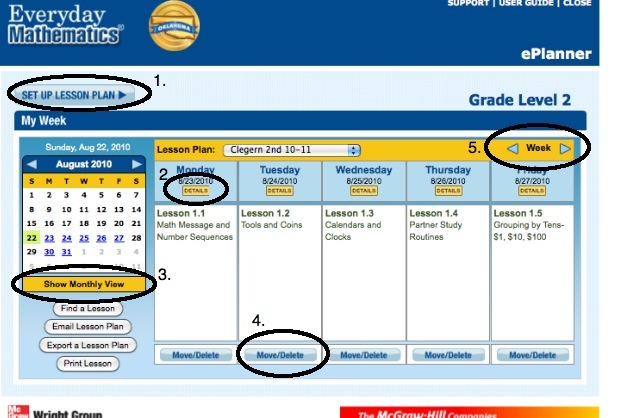 Leave the next box on "Create a New Lesson Plan," unless you have returned to update an existing plan. In which case you would need to select that lesson here. Set the date your lessons should begin. Select the 'Next Step' button. After you select the ‘next step’ button, the screen below will appear. 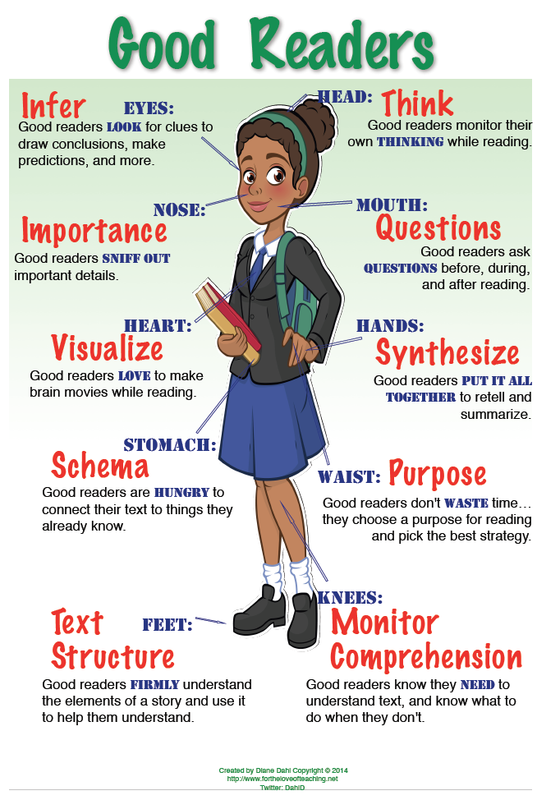 First, be sure to set the correct beginning and ending unit and lesson. By default the lessons begin with Unit 1/lesson 1, and end with the last lesson in your series. 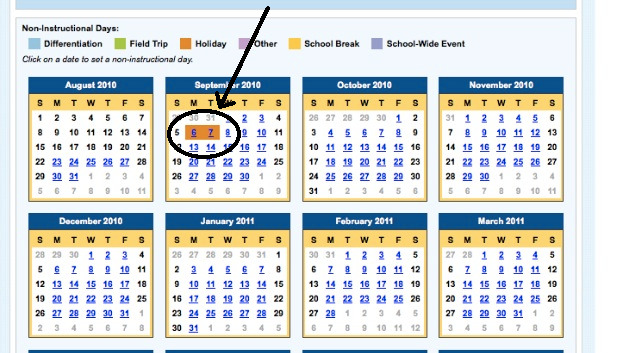 Next, you will be able to select specific days on the calendar to specify non-instructional days. I set the start day as September 6, and the end date as September 7. Next I select ‘Holiday’ as the day type. Finally I type ‘Labor Day’ in the Day Note box. Select the Save button. Now you can see those two days blocked off as holidays on the calendar. 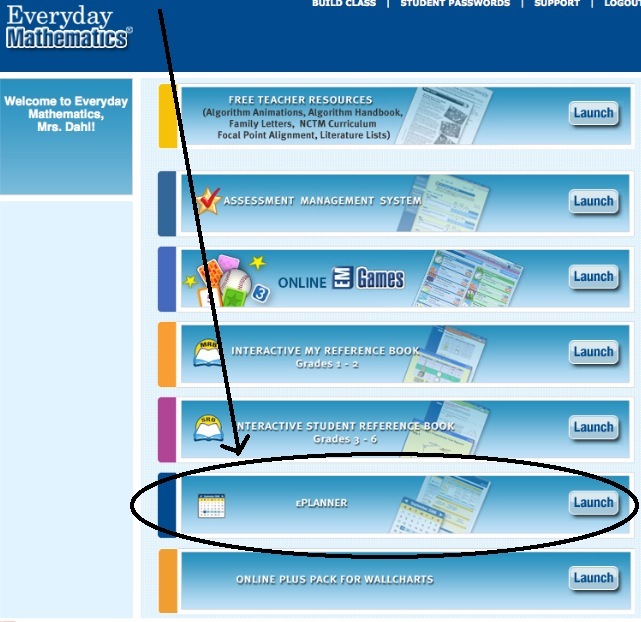 After inputting your holidays, field trip days etc., click the ‘Create Lesson Plan’ button at the bottom of the page. Once you have created your lesson plan, the following screen will appear. There are several available options. 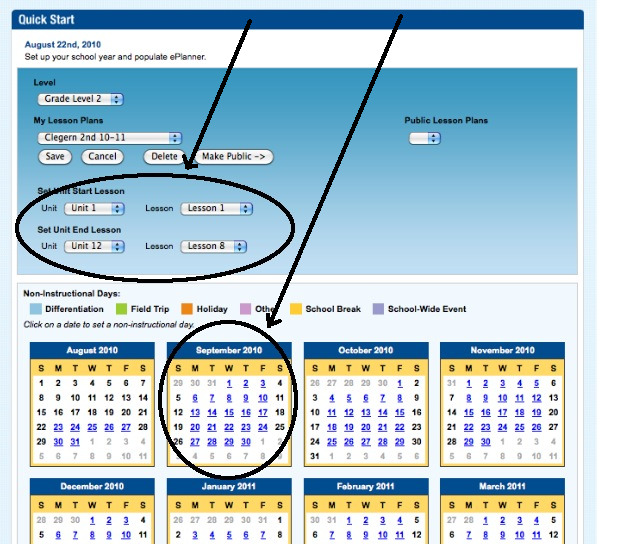 If you forgot to add a holiday or flex day to your plan, click the ‘Set Up Lesson Plan’ button. It will take you back to the setup screen. This does not have to be done immediately. This option is also handy for adjusting lessons due to snow days. Again, the rest of your lessons will automatically be advanced for you. 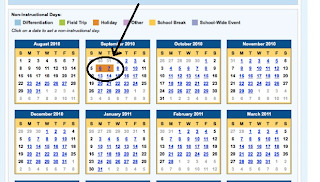 To view the lesson details for a certain day, select the yellow ‘Details’ box. If you need to spread a lesson out over more than one day, move the day, or delete the lesson, select the move/delete button. A pop-up box will appear for details. I love this option because it gives you the flexibility to allow for those times when one day just wasn’t enough for a lesson. 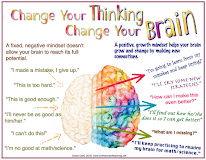 You just make the change and the rest of your lesson plan is adjusted for you! 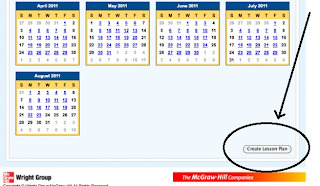 Advance or reverse your view of weeks by selecting the appropriate arrows. 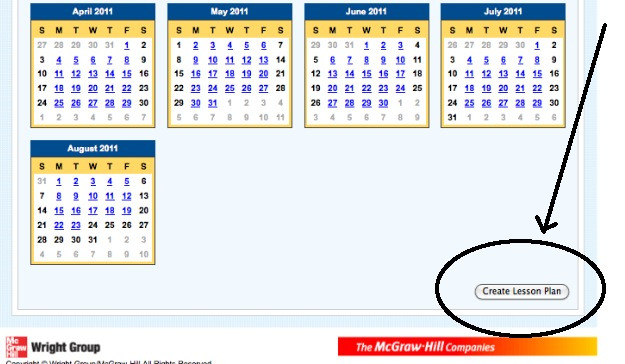 Click the Details box (#2 above), and the window below will appear. You will find all the necessary resources at your fingertips. You can even access games to go with most lessons! There is far too much to go over. 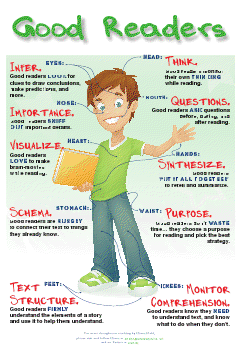 Most is in pdf format. I recommend checking it out for yourself… you’ll be glad you did. 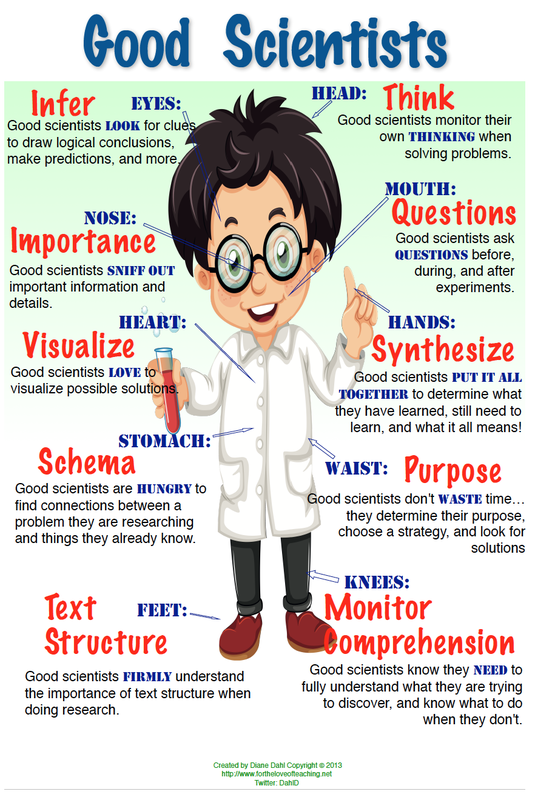 That’s my brief overview on setting up your online lesson plan. I hope it helps, please let me know if you have any questions, comments, or suggestions. There are surely tips and techniques I’m not aware of. If you know any, please comment below! 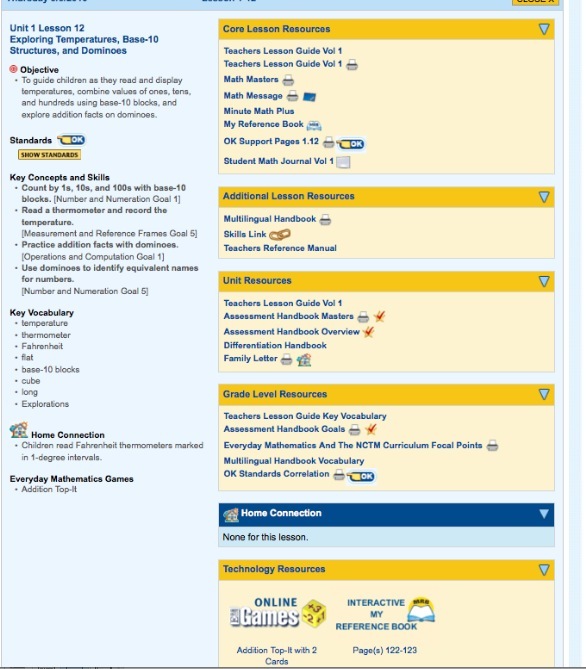 I wonder if my private tutor uses this site. 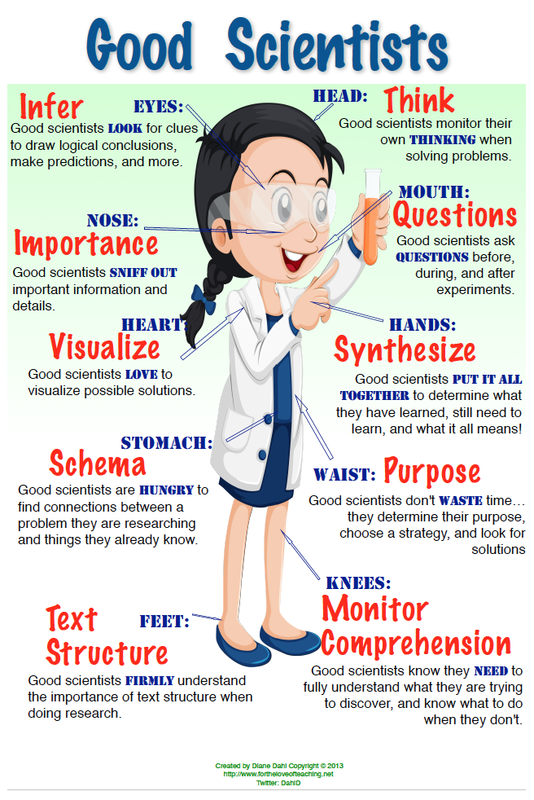 It sure makes lesson plans look like a breeze to do!